At its Oct. 22 board meeting, the Franklin Board of Education honored six students for exemplary service to others. The Girl Scouts were recognized for projects they had performed at the Dayton Challenger Learning Center, a hands-on experience where students learn to work collaboratively, think critically, and develop math and science skills critical to their future success. 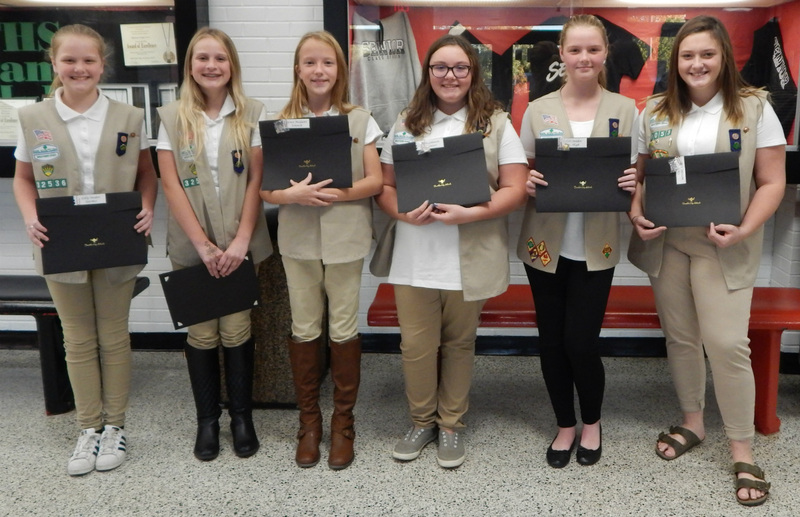 From left, the students honored were Lilly Snider (Gerke), Kailey Estes (Schenck), Grace McGuire (Schenck), Ava Johnson (Hunter), Tori Snider (FJHS), and Tess Johnson (FHS).